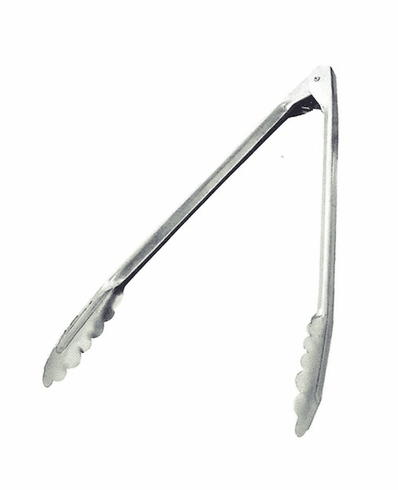 Stainless Steel 12" long Locking Tongs. Locking tab holds tongs together for easy storage. Quality and durable construction, with scalloped teeth.